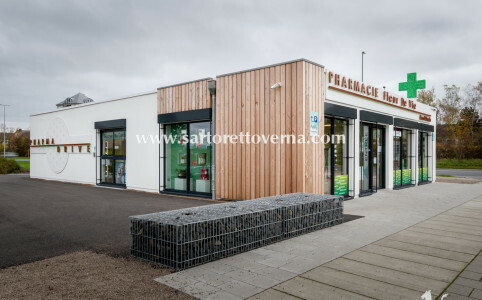 Creating a pharmacy that meets the needs of its local community; promoting the pharmacy’s professional specialties, without the typical communication and advertising used by large-scale retailers, attracting customers with a modern approach. 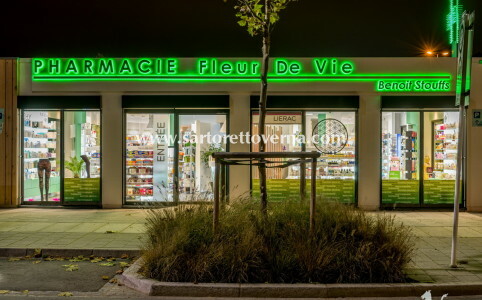 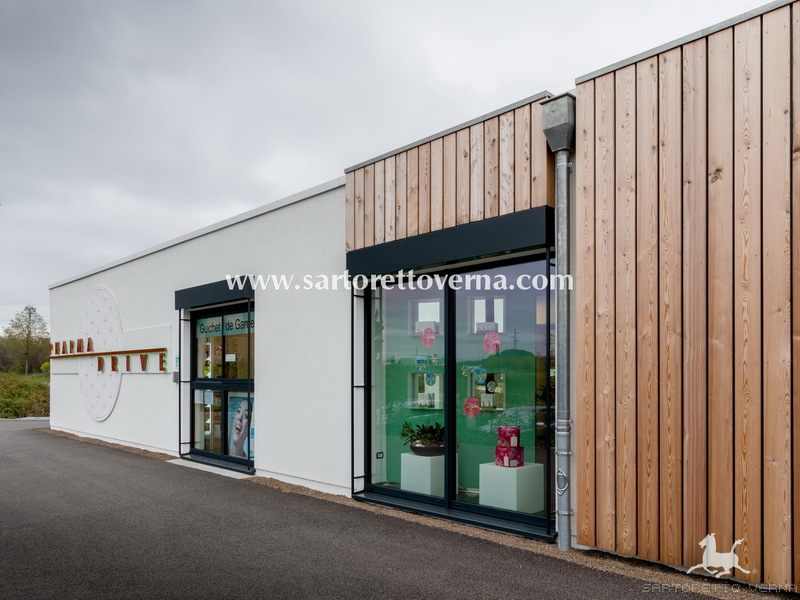 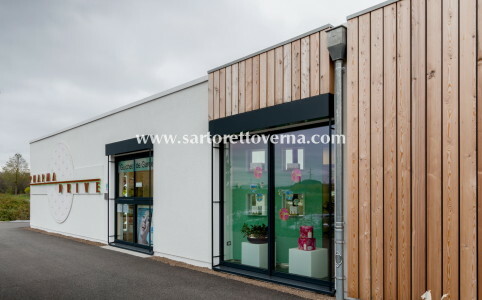 These were the objectives set by Luxemburgish Dr. Benoit Stouffs, one of Europe’s most well-known doctors and homeopaths, when he entrusted the project for his new Pharmacie Fleur De Vie to Sartoretto Verna Srl. 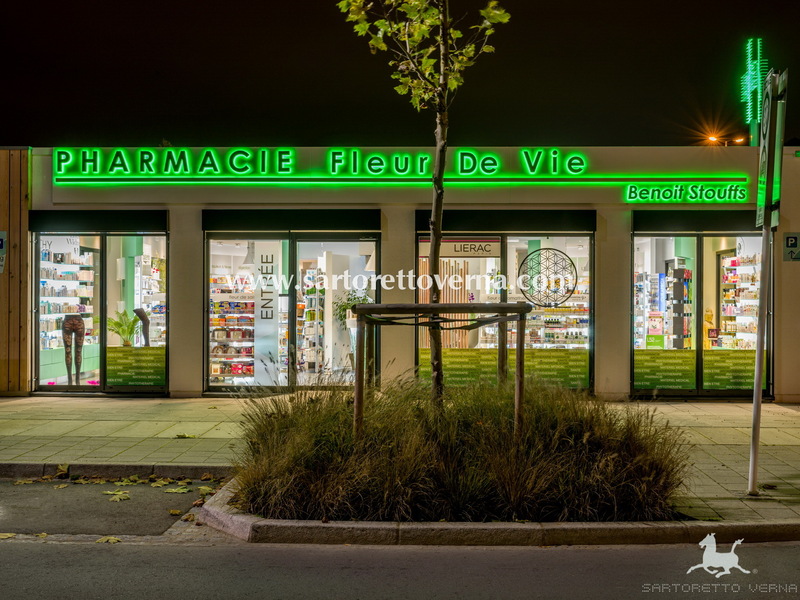 The challenge was to create a design that fits the pharmacy’s identity, which is the result of the owner’s hard work and that of his experienced staff, because today professionalism and expertise should be a mark of distinction for every pharmacy. 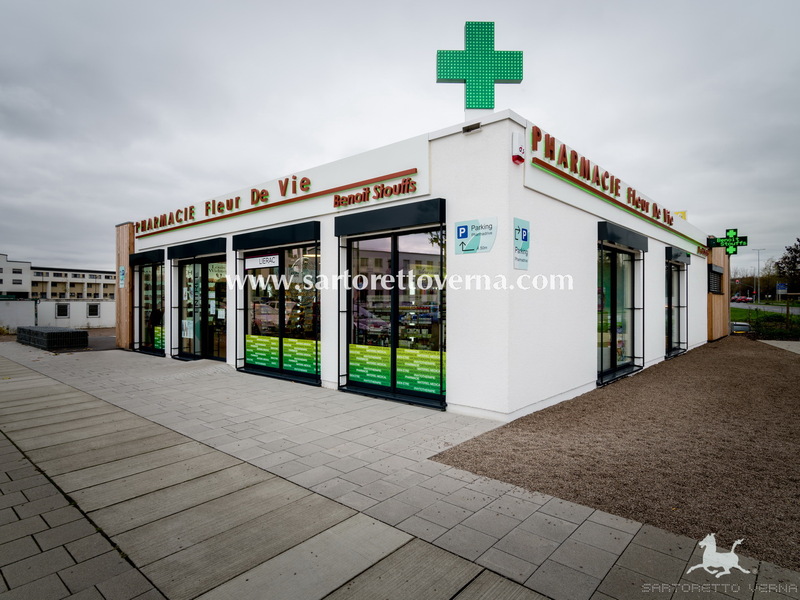 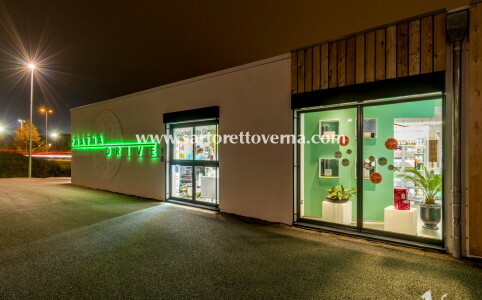 herbal medicine, offering an ambiance with a natural look and feel for this homeopathic pharmacy, creating effective sales paths and specific areas where customers can request professional advice. 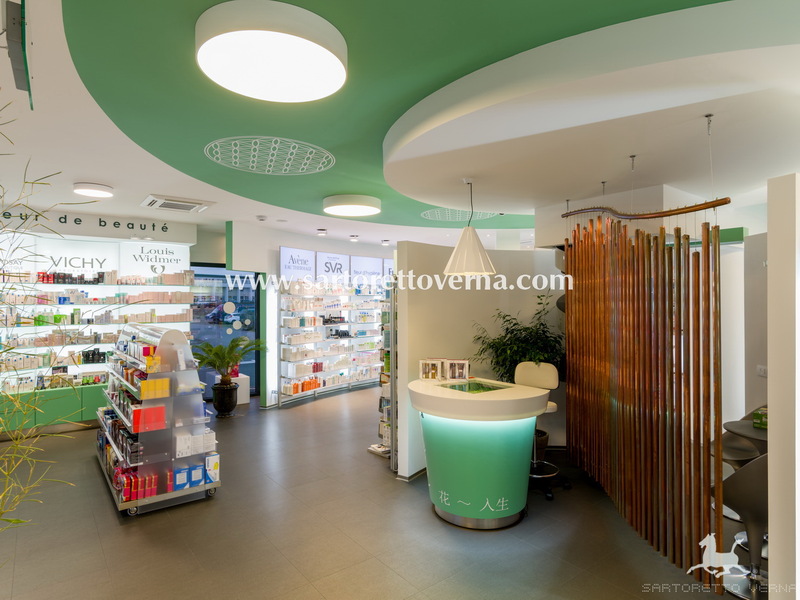 All this combined with the modern touch of high-tech furnishings, with an automated system that delivers medication to the five workstations. 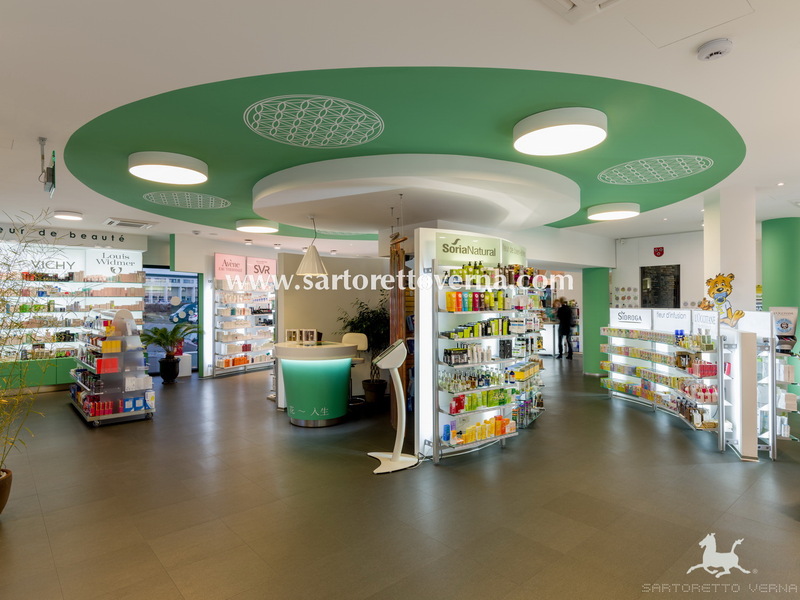 The circular layout of the paths are enhanced by ceiling lights, attracting customers to the products and increasing product visibility. 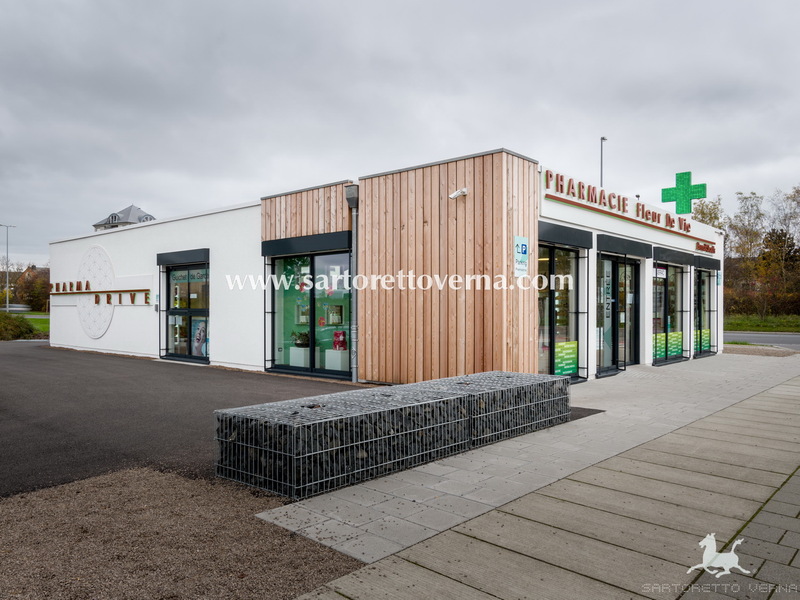 This specific design improves relationships with customers, allowing more time for advice and suggestions from staff, thus offering the opportunity to connect with each individual customer and his or her personal needs. 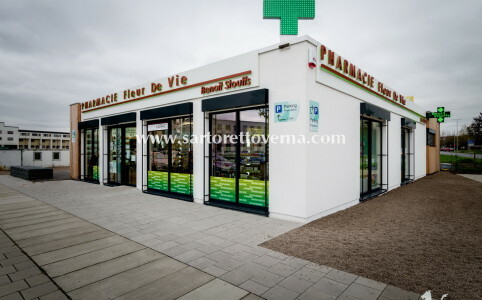 Today, pharmacies must be able to offer products and services in a professional environment, where attention to detail is increasingly important when it comes to choosing a preferred pharmacy. 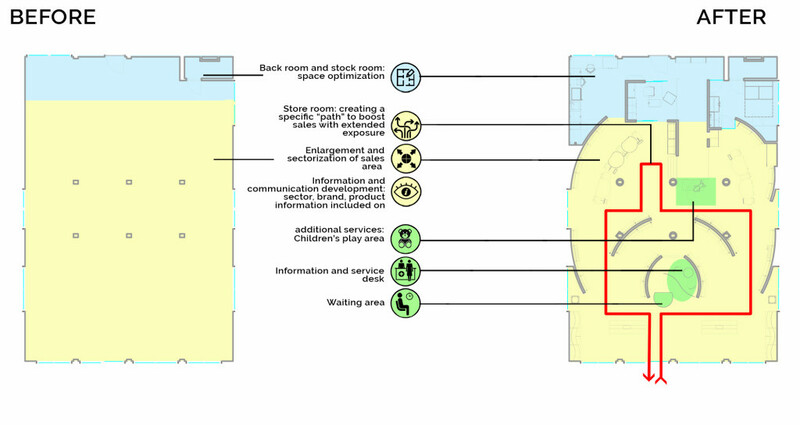 Building customer loyalty is not an easy process. 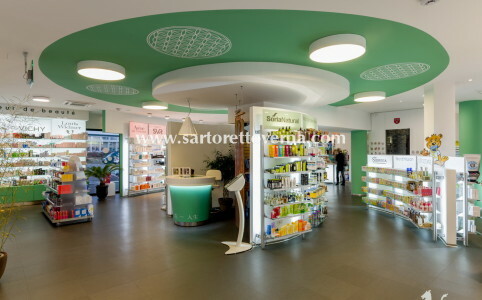 Each individual must be carefully guided through the selection process. 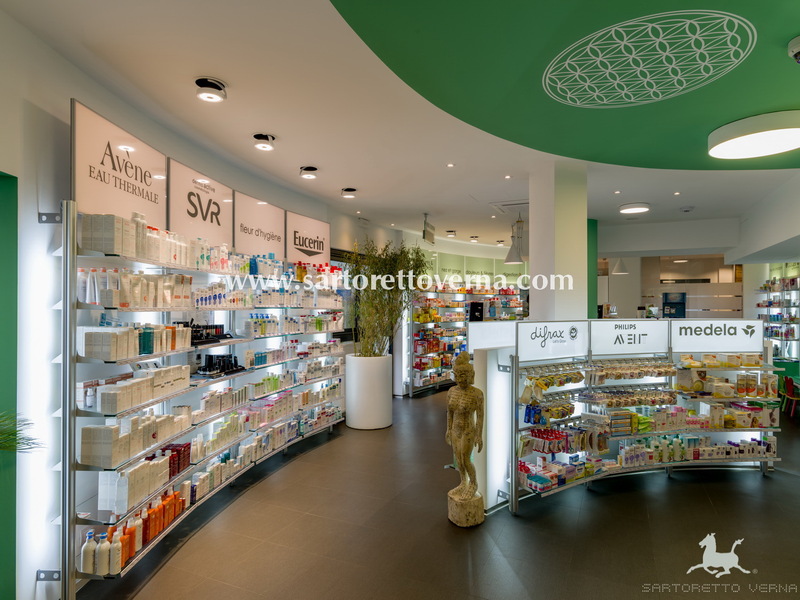 It is crucial to offer added value to a simple product on a shelf, with details and a setting that help to establish a relationship with the customer, while promoting the product. 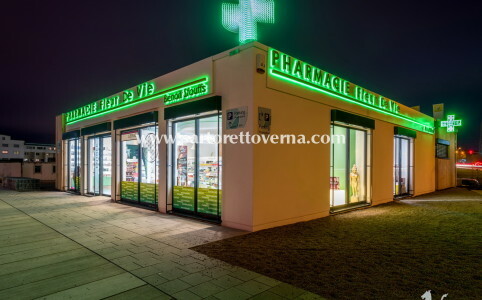 The classic range of services must become a qualified element of professional advice and services. 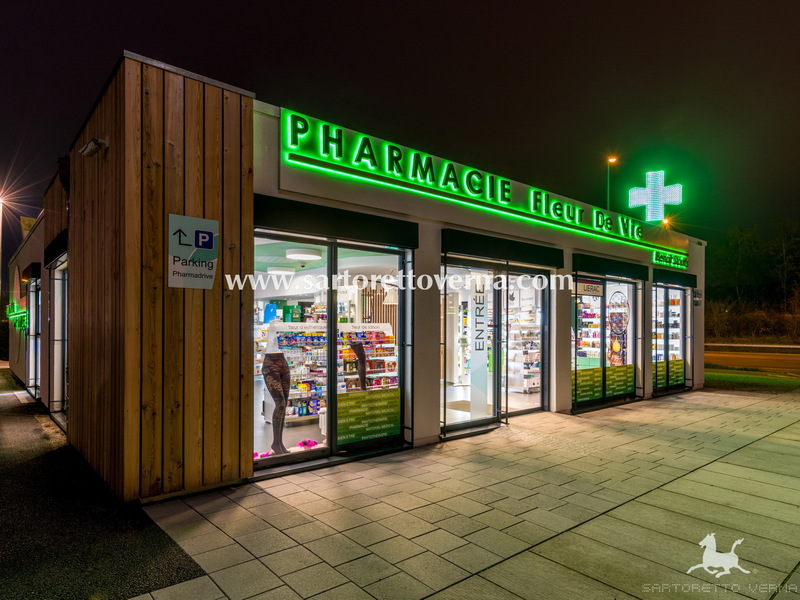 The automated medication dispensing system in the sales area of the pharmacy is an exciting attraction for young and old. 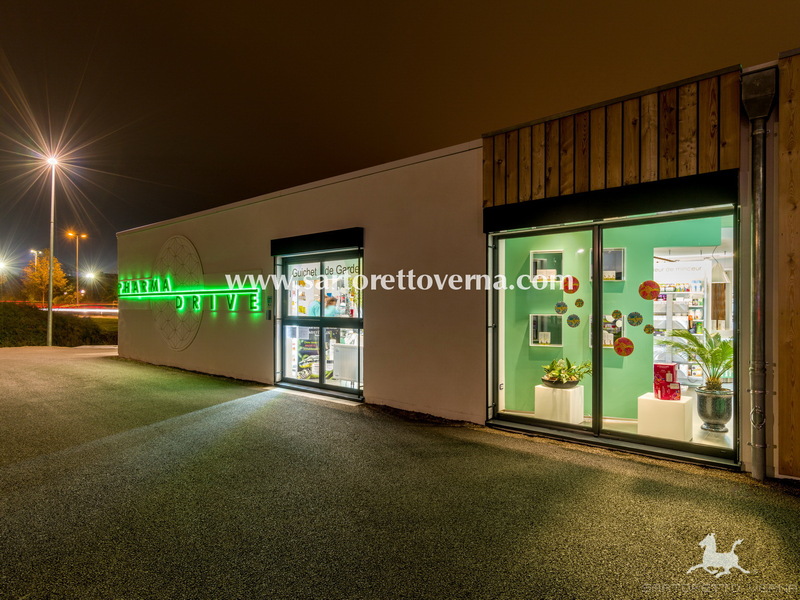 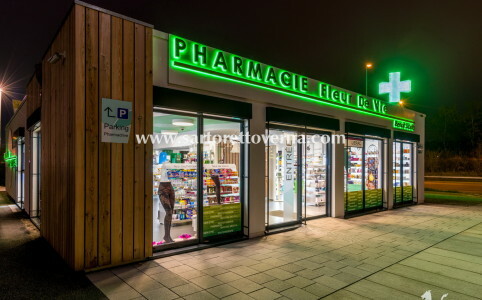 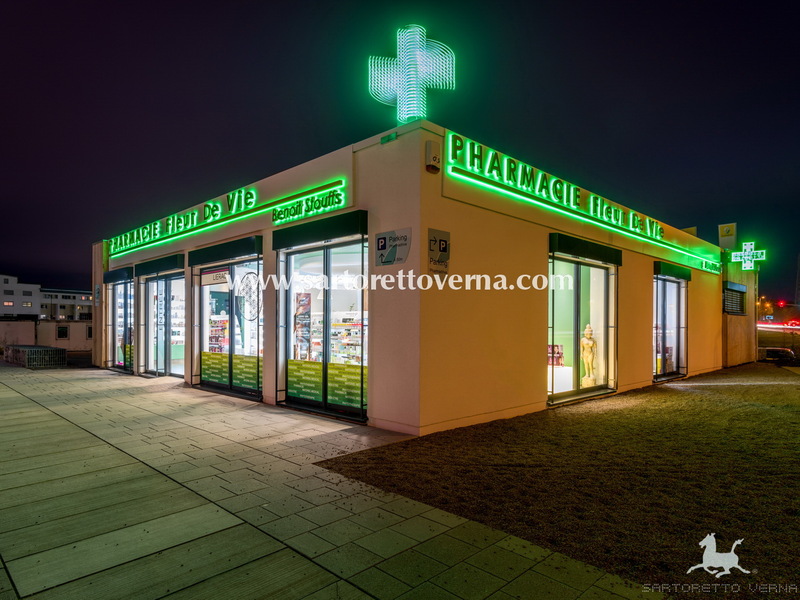 A warm welcome to customers, a harmonious display of products for a modern shopping experience, play areas for children, confidential professional advice: this is Dr. Stouffs successful new pharmacy.